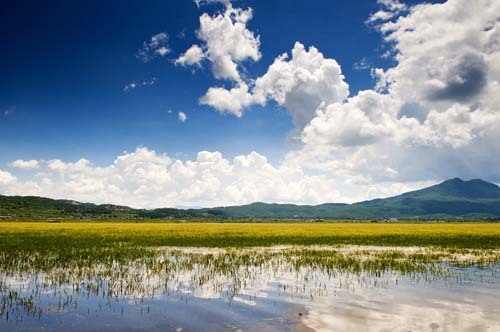 Covering an area of 1002 hectares (3.9 square miles), as the largest lake in Lijiang (lì jiāng 丽江) area, Lashihai Lake (lā shì hǎi 拉市海) is recognized as one of the most important marshes in Yunnan. It is fed by the melting snow from Jade Dragon Snow Mountain (yù lóng xuě shān 玉龙雪山). Every year, over 150,000 migrationng birds spend the winter here. 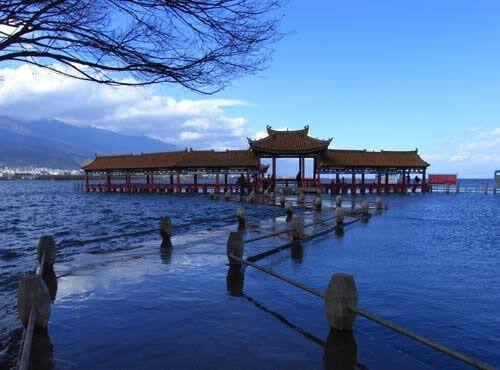 The lake is near Zhongdian (zhōng diàn 中甸), and 8 kilometers (5 miles) from downtown Lijiang. Lying in the southeast of Yunnan Province (yún nán shěng 云南省), Wenshan Zhuang and Miao Autonomous Prefecture neighbors Baise (bǎi sè 百色) in the Guangxi Province (guǎng xī shěng 广西省). It is bounded on the south by Burma. 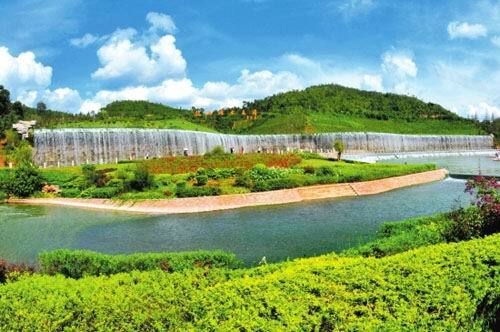 Wenshan County, the government seat of the prefecture is about 310 kilometers (193 miles) from Kunming. It is also called the Southern Gate of East Yunnan. The Wenshan Zhuang and Miao Autonomous Prefecture is well-known throughout China for its Panax notoginseng, a valuable medicinal material, and is thus also known as the “Hometown of Panax notoginseng” (sān qī zhī xiāng 三七之乡). Dali Bai Autonomous Prefecture (dà lǐ bái zú zì zhì zhōu 大理白族自治州) in northwest Yunnan (yún nán 云南) is a famous Chinese cultural city and a national scenic zone. A rich heritage dates back to the days when the city was the capital of the kingdoms of Nanzhao (nán zhào 南诏) and Dali. 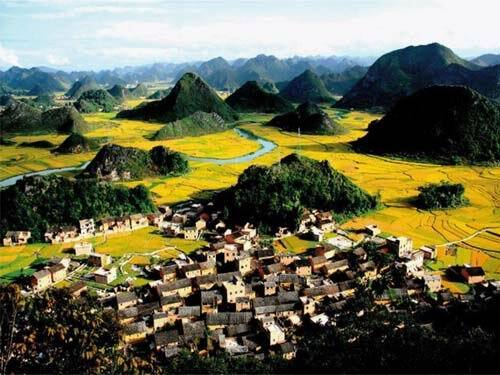 Dali is a major habitat for the ethnic Bai (bái 白) people, whose folkways are at once time-honored and distinctive. During the Tang and Song Dynasties, it was the capital of Nanzhao and Dali Kingdoms, the political, economic and cultural centre of Yunnan, an important gateway of cultural exchange and trading with southeastern Asian countries, and an important pass of the ancient "Silk Route of the South" (nán fāng sī lù 南方丝路). It has long enjoyed the reputation of "a land of letters". The scenery of the four seasons in Dali like paintings, in many scenery famous spots, they are most famous for four views of breeze, flower, snow and moon and fascinating. 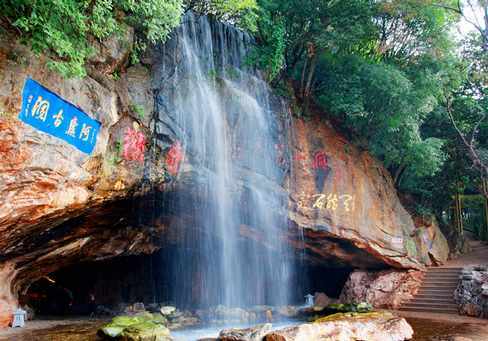 The Alu Ancient Cave (ā lú gǔ dòng 阿庐古洞), reputed as 'the first wonderful cave in Yunnan' (yún nán dì yī dòng 云南第一洞), is located within the precincts of Luxi County (lú xī xiàn 泸西县), Honghe Hani and Yi Autonomous Prefecture (hóng hé hā ní zú yí zú zì zhì zhōu 红河哈尼族彝族自治州), in Southeast Yunnan (yún nán 云南), 2.5 km from the county seat, 80 km from the famous Stone Forest and 200 km from Kunming (kūn míng 昆明). Yuxi (yù xī 玉溪) has been called as "defensive frontier of the provincial capital" since ancient time. Covering an area of 15,285 square kilometers, the city of Yuxi has a population of 2,016,800. There are 25 minorities in this city, including Yi (yí 彝), Hani (hā ní 哈尼), Dai (dǎi 傣), Hui (huí 回), Bai (bái 白), Mongolian (méng gǔ 蒙古), Miao (miáo 苗), Lahu (lā hù 拉祜) and so on, which make up 31.69% of the population.